The revolutionary REVIT See Soft CE-Level 2 back protector is designed to absorb multiple impacts without compromising on comfort, ventilation or freedom of movement. The highly impact-resistant blend of Nitrille and Polynorbornene rubber results in a memory foam that is multi-impact rated and CE Certified to the highest level of prEN 1621-2:2010 level 2. In the case of severe angular impact, the individual Memory Foam layers will shift relative to one another, resulting in impact dispersion over a larger effective surface area and therefore minimizing the energy that is transmitted to the spine and back. The Seesoft back protector performs extremely consistently in all weather conditions and is unaffected by temperature ranges from -4° F to +104° F (-20° C to +40° C). 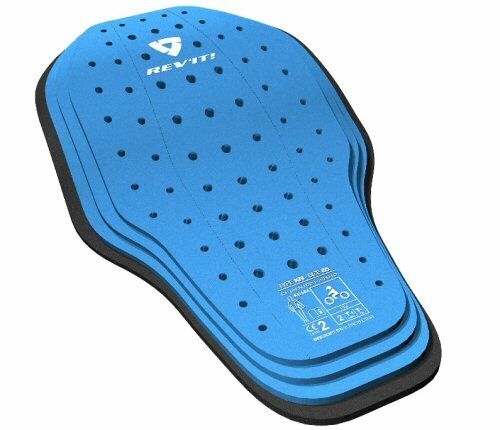 For additional information, please see the Seesoft Back Protector Insert Fit Chart or follow the sizing in the description on the product's page.